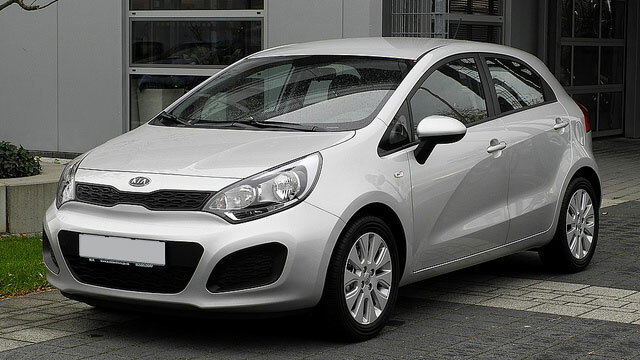 The cars of the Kia Motor Corporation are known to be the most affordable and gas-efficient on the market. If you drive a Kia, whether it’s a Soul, Cadenza, Optima or Sorento and you need auto repairs or maintenance, check out JW Auto Care, which serves the entire Scottsdale and Tempe region. Our auto mechanics are well-known as the best team in the area. That’s because when owner Johnny Welker bought the company in 2010, he decided to raise the bar and make the auto repair shop the best in the community. He stressed excellent customer service and equipped his auto mechanics with the best and latest tools and diagnostic equipment he could obtain, then made sure his mechanics got the training they needed. JW Auto Care is A+ rated with the Better Business Bureau and most of its auto mechanics are ASE-certified. To give you peace of mind after we service your Kia, we also offer nationwide 3-year/36,000-mile parts and labor warranty on most repairs. “Thorough mechanical attention done in a timely manner by courteous and knowledgeable personnel. All who work there are pleasant and the charges are reasonable. I appreciated the dusting of the interior and a clean windshield. And...thanks for the flower! Nice touch!” – Gini G.
When you bring in your Kia for maintenance or repairs, you can be certain that the auto mechanics at JW Auto Care in Scottsdale have your safety and comfort in mind and will do their best to get you back on the road with your car in tiptop running condition as quickly as possible. For auto repairs and maintenance on your Kia, call us or schedule an appointment online. JW Auto Care is located at 3011 N. 73rd St., Scottsdale, AZ 85251.